I don't want to make anybody feel bad, and I'm sure you know that the Shins are playing their second sold-out show tonight at the Observatory, so let's focus on other music options to satiate your music needs. 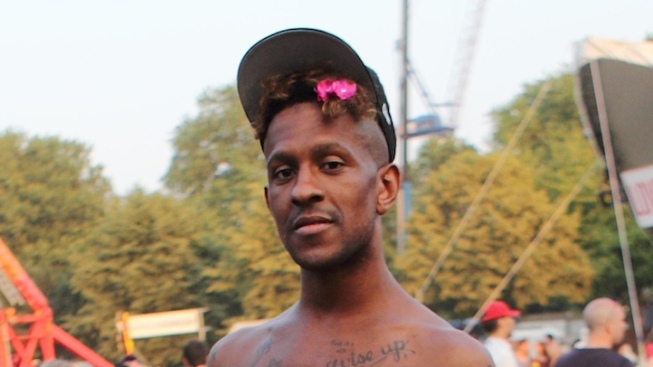 At Soda Bar, queer hip-hop artist Mykki Blanco brings a new edge to the genre, incorporating elements of punk, industrial, and other sub-genres not generally associated with hip-hop -- as if the gender-bending, larger-than-life persona of Mykki wasn't reason enough to check out the show. If you're feeling a little more Americana tonight, the Great American Canyon Band along with our friend Grandpa Drew head to the Casbah. The Merrow offers up a free local Tuesday with the Shifty-Eyed Dogs, a T. Rex tribute takes hold at Blonde Bar, and Trunkweed plays a free in-store at Normal Records on 30th Street.